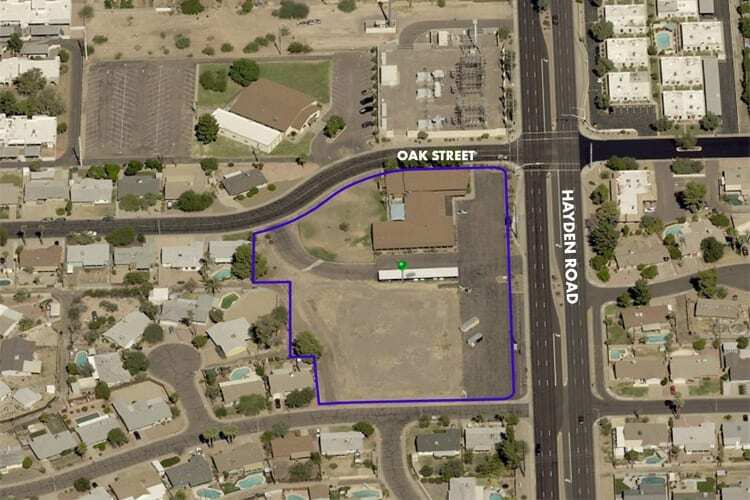 ORION Investment Real Estate is pleased to announce the sale of the approximate 3.25-acre site located at 2240 North Hayden Road in Scottsdale. It sold for $2.5M to Rob Lyles of Deco Communities. Larry Kush, Senior Vice President of ORION, said, “I am honored that I was able to help the Arizona Christian Ministries achieve their goal of expanding the reach of their charitable trust by assisting them in selling this property.” Kush negotiated the transaction between the Seller, David Johnson of Arizona Christian Ministries, and Buyer. The church is situated on the hard corner of Hayden Road and Oak Street, with excellent street visibility. It is conveniently located near retail, parks and education, including Scottsdale Commerce Centre, Lowe’s Home Improvement, Coronado High School, Coronado Golf Course, and Eldorado Park.